If you’d like your latest recordings reviewed, send hard copies to T Max/ The Noise, 40R Highland Ave, #219 Salem, MA 01970. 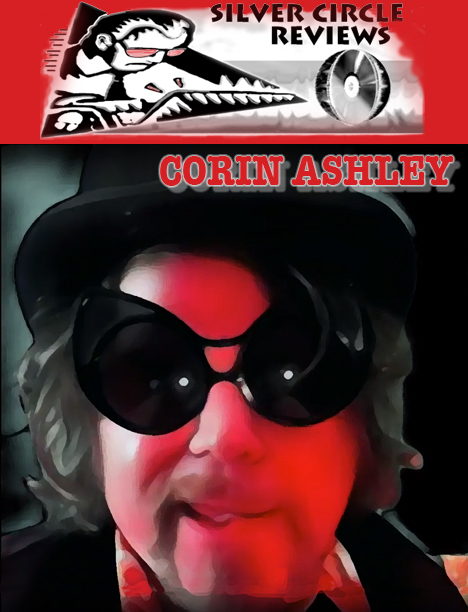 Following a stroke that left both his left hand and vocal chords paralyzed, Corin Ashley made his return with Broken Biscuits. No stranger to the music scene, Ashley has toured with many well-known musicians such as Frank Turner and Dave Davies of The Kinks. The album opens with “Little Crumbles” which features typical rock elements of heavy guitars and distinct drumming. “Broken Biscuits #3” takes a different approach with more of an indie rock style with some electronic components. The song is much more unique than some of the other tracks, stylistically and vocally. At only a minute and a half in length, the fast-paced tempo of the instruments paired with Ashley’s calming vocals is quite enjoyable. Some of the tracks are slower, such as “Magpie Over Citadel.” Supported by only a guitar, Ashley’s vocals are the main focus. With some backing vocals, the song is much more relaxed than the previous tracks. As more instruments join in, the style grows to fit nicely with the other songs that have a heavier sound. “Broken Biscuit #6” is more reminiscent of the opening track in its guitar style and loud vocals. The contrast in sounds and musical elements makes this album feel very fresh and intricate without feeling overdone. Every sound has a purpose and adds to the feeling that Ashley evokes. Utilizing more of a slow drum beat and cymbals, “Junior Partner” has a strong jazz vibe where, again, the vocals are more prevalent. You would never know he had injured his vocal chords by listening to him sing, his voice sounds experienced and composed throughout. With heavy jazz elements and vocal effects, Matt Fraza creates a nostalgic, classic rock sound. The use of the harmonica and melodic electric guitar support Fraza’s vocals. Admittedly, the vocals do not sound the strongest and the clear effects on his voice feel forced. The lyrics tend to create a story and “I Don’t Want It” sounds like Fraza is just talking to the listener with some instruments supporting him. The instruments are very reflective of songs one would classify as classic rock, but there does not seem to be too much modernity in his songs. At times, the EP feels a bit bland, at least vocally. “Deep” focuses mostly on Fraza’s voice, which fall a bit flat in front of the calm guitar work. The emotion in his voice is there, it just needs to be brought to the surface. “Drugs” is a better track, evident of the potential for a more passionate song. This song sees a heavier sound with honest lyrics about Fraza’s friends supposedly dying due to drugs. The drums are a crucial component of Fraza’s sound and are varied throughout. “Circle” has a stronger element of the cymbals and this adds some distinction between the other tracks. Don’t be fooled by the 7 track listing; this EP from What About Naomi? is filled with some lengthy songs, some entirely instrumental and others with vocals. “The Benefit of One” is an easy-going electronic track with rhythmic drumming and funky sounds that support the various guitar sounds. Just about 15 minutes in length, this is one of the longest songs on the EP. It is a fairly repetitive track, but still enjoyable as background music. “Heart in a Sheath” has a very similar sound, one that is heavily influenced by electronic components, almost in a EDM style. This track is more upbeat and with a high-tempo, contrasting their other more ambient tracks, as the band themselves describes them. While the songs do have a similar sound overall, the differences are what make the EP so complex. Listeners can really hear each individual component and they really bring all of the tracks together. Some are more mellow than others, but that is what the band is going for. One of the calmer tracks is “Nocturnal Driveby,” the longest song at 16 minutes. There is a slow build-up with relaxed sounds to support the fast-paced drumming. The song progressively builds its pace by adding more sounds and it really works for this one. Right off the bat, Mailman Carl starts with a two-minute long guitar solo, otherwise known as the opening track “Panic Attack.” I never thought a song composed entirely of a guitar and some effects could be enjoyable, but Mailman Carl proves it most definitely is. “Phrygia” slows things down a bit with a simpler guitar in another instrumental track. Even with a much different feel and sound, it is just as emotional and intricate as the first song. Instrumental songs can be hit or miss, but this band is incredible at experimenting with sounds that somehow bring the whole EP together. Introducing some jazz elements, “Like Flies” features a variety of drums with a mellow guitar. Vocals are introduced and lead singer Paul Yu’s calming voice pairs well with the smooth instruments. “Wicked Jade” is more of a typical rock song, albeit it does feel more acoustic than most rock normally does. The vocals and the instruments feel a bit forced, with an acoustic guitar backed by an electric guitar. There is a little too much going on, but the effort is still appreciated. Mailman Carl’s style is laidback, taking inspiration from many genres and they do an excellent job of that. The instrumental tracks are some of the better songs, as the combinations of sounds blends quite nicely. If you’d like your latest recordings reviewed, send hard copies to T Max/ The Noise, 40R Highland Ave, #219, Salem, MA 01970.